Find out what your home is worth by talking to a professional real estate agent. Price your home 10, 15, or 20 percent below the agents suggested home value. Your house will get more attention from buyers and you will get more offers even in down markets. Its even possible buyers will bid up the price. The key to selling fast is knowing the market, pricing the property correctly, and making it feel welcoming to prospective buyers. If you aren’t ready to tackle selling your home and want an easier option to sell your house fast, consider working directly with House Sold Easy. House Sold Easy is a Real Estate Investment company that buys home directly from homeowners like you. Call us today at 636-525-1566 or visit https://www.housesoldeasy.com/ to get started. We Buy Houses in St. Louis. House Sold Easy is a Real Estate Investment company located in St. Louis, Missouri. We Buy houses in all areas of St. Louis City and St. Louis County. Our preferred neighborhoods include : Brentwood, Richmond Heights, Olivette, Clayton, University City, The Hill, Benton Park, Maplewood, Sappington, Glendale, Kirkwood, Webster Groves, Chesterfield, Ladue, Central West End, Fox Park, Forest Park, Mid Town, Soulard, Ballwin, Florissant, Overland, St. Ann, St. Charles, St. Peters, O’Fallon, Creve Coeur, Maryland Heights. Didn’t see your neighborhood mentioned above? No worries you can still sell your house fast with House Sold Easy. We Pay Cash and put all cash offers on homes in as is condition. 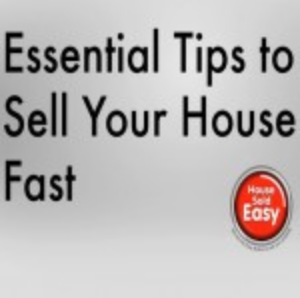 House Sold Easy is the Easy Button to Sell your House Fast! Get Started with your Free no obligation home value estimate.